A loan of $575 helped to purchase different cloth, needles, thread, tailoring chalk and scissors. Bernalda has been a member of PMPC for over 4 years. She is a skilled dressmaker at her place. 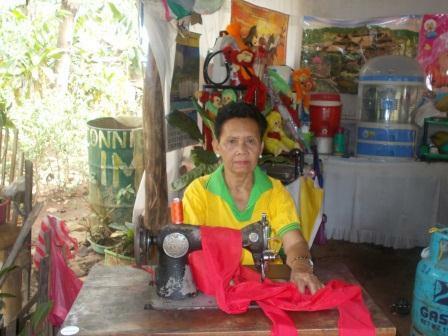 As she learned that PMPC has been funding small business ventures, she decided to borrow money in order to augment her tailoring business. She is on her 9th loan in an amount of 25,000.00 PHP to purchase different cloth, needles, thread, tailoring chalk and new pairs of scissors. She wishes that through PMPC she will be able to provide opportunities to her neighbors.